Property 7: Very confortable, spacious and stylish, a very special apartment. New Building in Recoleta - Balcony with Great Views and Quiet! 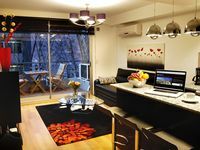 Property 19: New Building in Recoleta - Balcony with Great Views and Quiet! Luminous Studio Apartment. Ideal Location. By Owner. Property 34: Luminous Studio Apartment. Ideal Location. By Owner. Property 41: Cheerful & bright on "Galeras Pacfico"
Casa Unica en Palermo Soho. Inmejorable Ubicación ! Property 48: Casa Unica en Palermo Soho. Inmejorable Ubicación ! Excellent choice. 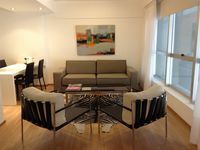 The apartment is well-equipped and perfectly located in the best area of Buenos Aires. Hector was very nice and always ready to respond to any sort of request with a fantastic attitude. On the other hand, owner should take a look at hot water situation. Takes several minutes until water is warm enough for a goods shower. .